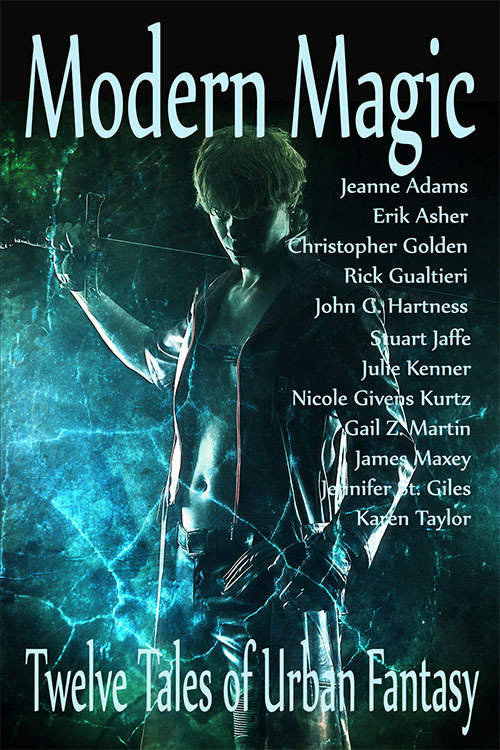 The Poptart Manifesto by Rick Gualtieri: Ready for a dose of Modern Magic? 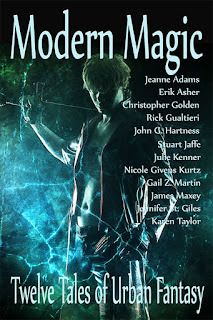 Ready for a dose of Modern Magic? Are you ready for a walk on the wild side? Are you daring enough to enter a place where the shadows are long, things go bump in the night, and the hour of the wolf never ends? 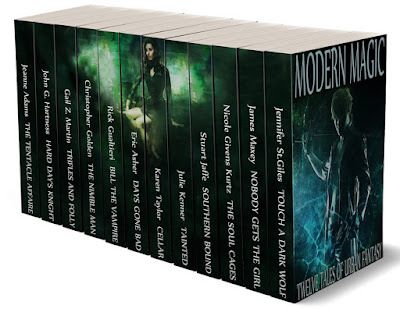 Get ready for 12 complete works by the masters of dark urban fantasy. Featuring some of the best and the brightest of the genre - NY Times Best-Sellers, USA Today Best-Sellers, Bram Stoker Award Winners, Nominees, and Amazon Best-Sellers! BEST YET, You don’t have to sell your soul to get this deal. It can be yours for ONLY $1.99! Available for pre-order now ONLY ON AMAZON. But, much like a vampire racing back to its coffin in the hours before dawn, it won't be here for long. Grab it today before it crawls back into the crypt from whence it came. THE TENTACLE AFFAIRE A Slip Traveler Novel by award-winning and RT Recommended bestselling author Jeanne Adams – He doesn’t believe in aliens. She doesn’t believe in magic. They’re both wrong. THE NIMBLE MAN by New York Times bestselling author and Stoker Award winner Christopher Golden & NY Times bestselling editor Thomas E. Sniegoski, the first book of The Menagerie series. They are beings of myth and legend. They possess powers beyond imagining. They are our only hope. HARD DAY’S KNIGHT – by award-winning author John G. Hartness – A pair of comic book nerds get turned into vampires, and now they have to save the world. The world is so screwed. TAINTED (The Blood Lily Chronicles Book 1) by New York Times bestselling author Julie Kenner –The first installment of the Blood Lily Chronicles, an urban fantasy romance which introduces readers to Lily Carlyle, a tough-talking bad girl who’s been chosen to save the world, and Deacon Camphire, the darkly sensual man whose words seduce her, but whose actions suggest he’s hiding secrets of his own. TOUCH A DARK WOLF (Shadowmen Book 1) by USA Today bestselling author Jennifer St. Giles –Poisoned by evil, Jared fights to save Erin before the murderous darkness in him claims them both . It's a Kindle Countdown to Extinction!